Before the world ended and zombies started eating what was left, a White Scientists Lab Coat like this one could have been a mark of pride, knowledge, and skill. Now, though, it is just a coat to keep you warm after a zombie apocalypse. Or maybe it is something more. Maybe this coat is worn by a doctor, still striving to help others in spite of a growing zombie infection. Or it could belong to a deranged scientist who struggles to find a cure, even as everything else, sanity and morals included, slip away. Either way, this lab coat is a classic white coat with folded lapels and snap closures that shut the lab coat in the front. It features a pocket along the side for storing any personal objects or small costume props. 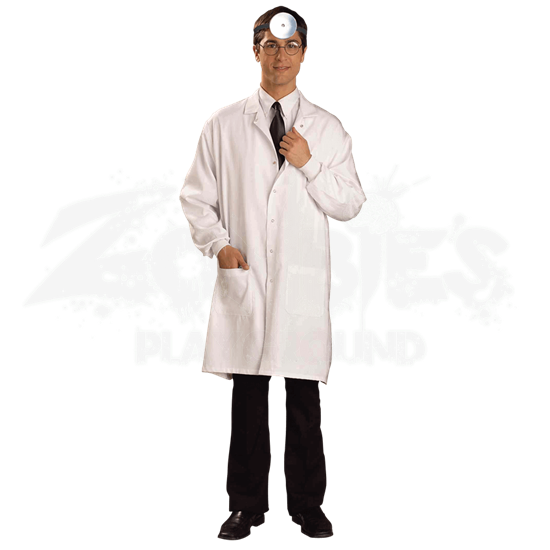 The lab coat comes in one standard size that fits up to a 42 inch chest. Perhaps you just like the way a white lab coat looks, or perhaps you have an idea in mind that will transform this White Scientists Lab Coat into something truly terrific or terrifying. 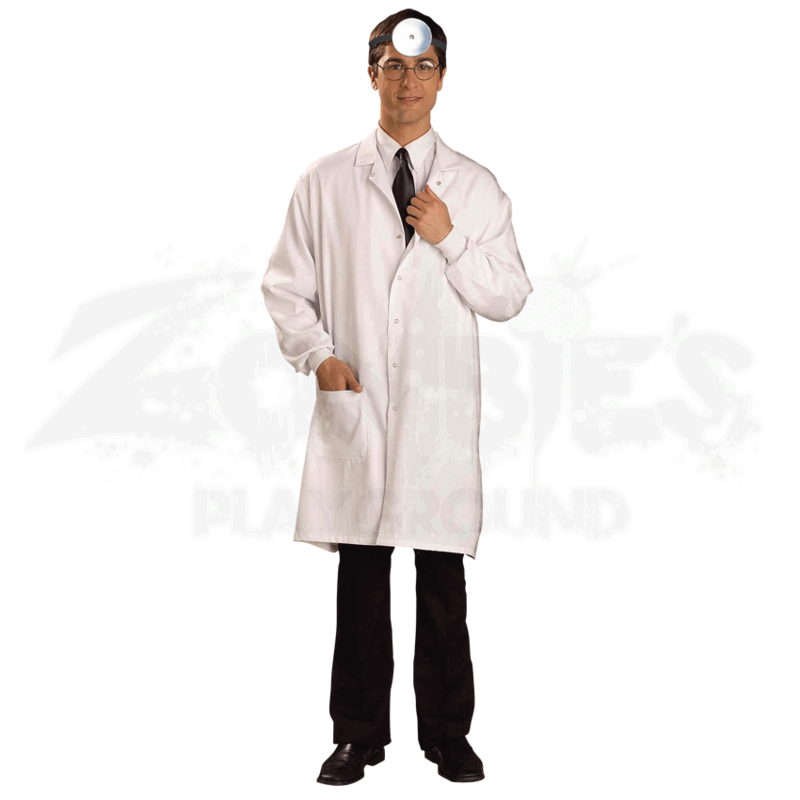 Either way, this lab coat is a great costume piece to use for a variety of truly amazing survivor and zombie costumes.